April is the "opener" of spring. Grass greens up, trees leaf out, shrubs begin to bloom, perennials come back, and the birds continue to sing. This is truly my favorite time of year; the time of rebirth! The seasons move so fast, this is one that you really need to s-l-o-w d-o-w-n and enjoy every day. One of the bigger movements across the country this year is "Protecting the Pollinators." Last year a huge push to "Save the Monarch Butterfly" was seen everywhere. A few years ago, the Honey Bee had been known as declining. Well, the decline of these most important Pollinators is still a strong concern. Therefore, we need to make ourselves aware of the push to save ALL pollinators. We can help with this push by being aware of your surroundings and eliminating the use of synthetic insecticide products, especially on blooming plants that are visited by pollinators. It you have an insect issue, talk to a representative at your local garden center about methods of controlling pests without harming pollinators. Our food supply depends on it. The Washington in Bloom (WIB) committee is supporting this program 100%. In fact, the WIB group is promoting a separate program to PLANT 100 Pollinator gardens in the Washington area. This will gain recognition in the America in Bloom national program, which we are graded on every year. Washington is so excited to be partnered with this National group. If you have questions on how this program works, please call the City Parks Dept or Hillermann Nursery & Florist. We have A LOT of exciting things happening in Washington to increase sustainability and pollination. There is so much to talk about in April, I have made a short list of some of the more common, timely items that will need attention or guide you as we begin this most wonderful season of Spring! 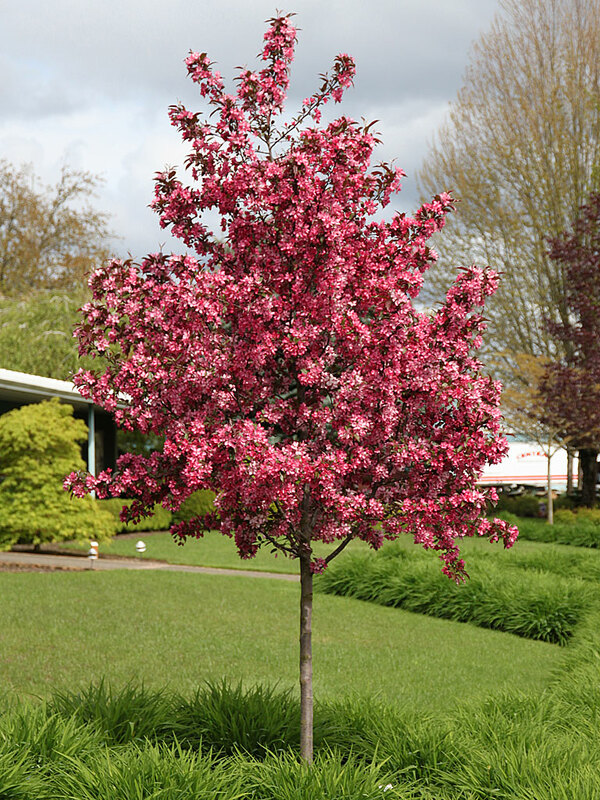 • When Crabapples are in bloom, hardy annuals can be planted. • Transplant trees, shrubs and perennials early in the month for best success. • Spots and bare patches in the lawn can still be over seeded if you did not apply a Crabgrass Preventer. During spring there are more issues to be aware of when seeding a lawn rather than in the fall. • Liquid weed control should be applied this month to control dandelions, henbit and other broadleaf weeds. New grass from seed MUST be mowed 3 times to make it strong enough to withstand weed chemicals. • Prune spring flowering shrubs after they finish blooming. • Start cucumber, squash, cantaloupe and watermelon seeds indoors this month. • Termites begin swarming. Termites can be distinguished from ants by their thick waists and straight antennae. • Ants have slender waists and elbowed antennae. • Mole young are born in chambers deep underground. • Hang out hummingbird feeders the first of this month. Use a solution of 1 part sugar to 4 parts water. Change the solution frequently to keep if from fermenting. Food coloring is not needed nor is it recommended for the birds. • The last week of April is a good time to try an early sowing of warm season crops such as green beans, sweet corn, etc. Transplants of tomatoes, eggplants, peppers, and sweet potatoes can also start being planted outdoors. • Container gardening is good choice for flower and vegetable gardening if space is in short supply. It can be done by anyone, anywhere, check it out!! • "Natural Gardening" is here to stay...........keep your family safe and check out what organic/natural options are available to you when gardening this year. There are many.